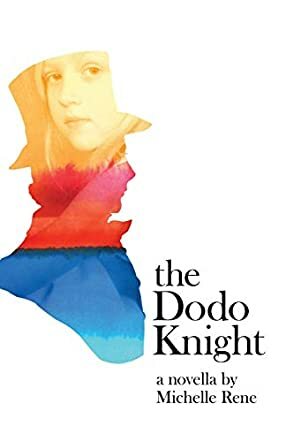 The Dodo Knight by Michelle Rene examines the young girl who was the inspiration behind Lewis Carroll’s Alice in Wonderland, giving insight into the relationship between them, that of muse and author. It is told from her point of view and shows the confusion and pain that can result when young girls grow into young women, how harmful rumors cause painful confrontations, and beloved uncles are forced to withdraw their attention and support. It is a beautifully written novella embracing the style of writing of the time and replete with references and insight into Carroll’s popular story and the man behind it. If you’ve ever wondered about the mind behind the Mad Hatter, the Queen of Hearts, and the Cheshire Cat, this book is for you. Did you love Alice in Wonderland as much as I did? If so, you will love The Dodo Knight by Michelle Rene! It is historical fiction, but is told in such a way that you are compelled to believe that it just must be true. That is a mark of excellent storytelling and this novella is a perfect example. I loved her representation of Alice and especially appreciated her revealing insights into Uncle Dodo’s struggles of being a childlike adult in a very grown-up world. Rene intertwines innocence, humor, morality, and heartbreak into a compelling story for all who love children and the adults who delight them! We may never know the truth behind this story, but we can all love the Uncle Dodo of this tale. A wonderful book.